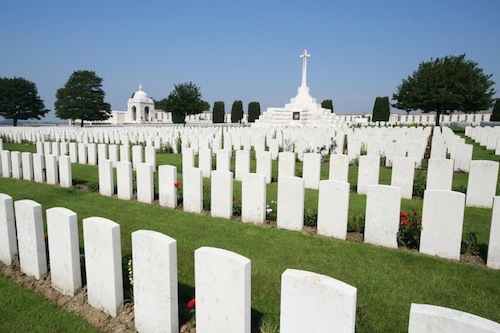 The Commonwealth War Grave Commission adopted Asigra cloud based technologies early in 2014 to help improve the way that the commission deals with the large amount of data to commemorate the 1,700,000 men and women who died during World War 1 & 2. It was of paramount importance to preserve the data to remember those who have been lost. We’ll be exploring how cloud based services have greatly improved the way that the CWGC deal with their sensitive data. Like many other organisations that have the need and requirement to backup, the Commonwealth War Grave Commission have been using traditional tape based backup systems, although this offered a solution to help recover the data in case of an emergency, the evolving cloud computing industry has now offered a more practical and cost effective solution to help with data backup and recovery. Techgate plc, along with technology from leading backup experts Asigra helped the CWGC to reduce the overheads and intricacy of their current backup method. Keeping and securing the data of the 1.7 million names across 23,000 locations in 153 countries was paramount for the organisation, requiring a very reliable and sturdy backup method, the need to cater for the ever-growing data which was also a factor that the CWGC needed which their legacy method found it increasing hard to deal with. Will Webster, Head of IT for CWGC commented “the Symantec tape backup solution we had in place was no longer able to support this mission and therefore needed to be replaced”. The current method required each location to manage and backup independently, as well as the drawback of taking almost a month to restore any lost non-critical data. The key benefits that the Asigra cloud solutions offer, include the vast reduction in time over tape based backup, improvement of speed for recovery, improved efficiency and freeing up time for IT employees. Another key factor alongside the obvious technological benefits, cloud services have added value and reduced the current spend for the Commonwealth War Grave Commission. Cloud backup and recovery solutions are vastly becoming popular throughout many sectors of business throughout the world. One of the key selling points for such technology is the security, resilience and efficiency of keeping highly sensitive data safe, which is why it was a key factor for the large amount of data associated for the 17 million people who were lost to us during the biggest wars of our history. As seen in previous reports we are seeing an increasing number of sectors that deal with highly sensitive information such as healthcare, law firms and investment firms implementing cloud technology as part of a back up and recovery plan.